With the advancements that have been made in technology it is virtually impossible to tell if a diamond is real just by looking at it. This is even truer if you are not knowledgeable about diamonds. There are some things that you can do to make sure that you don’t buy a fake diamond. The first thing you should do is make certain that the jeweler you are working with is reputable. Stay away from jewelers that you don’t know. If you are dealing with a new jeweler ask for documentation on any stones you might buy. If they cannot provide documentation do not buy the diamond. Take a look at the setting. Fake stones are usually set in cheaper metals. Take a good look at the stone itself. Fake diamonds are not very strong, but diamonds are the strongest stone in the world. If there are scratches on the diamond it is not real. If you have already purchased a diamond, take it for an appraisal. You might want to take it to a couple of jewelers to make sure that the appraisals are accurate. If the appraisal discovers that your stone is fake, you might be told that you switched the diamond when you attempt to bring it back to the store. That is why it is important to have the documentation for the stone that you purchased. 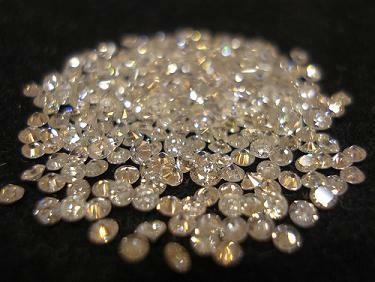 No two stones or diamonds are alike and the documentation will reflect the stone that you purchased.